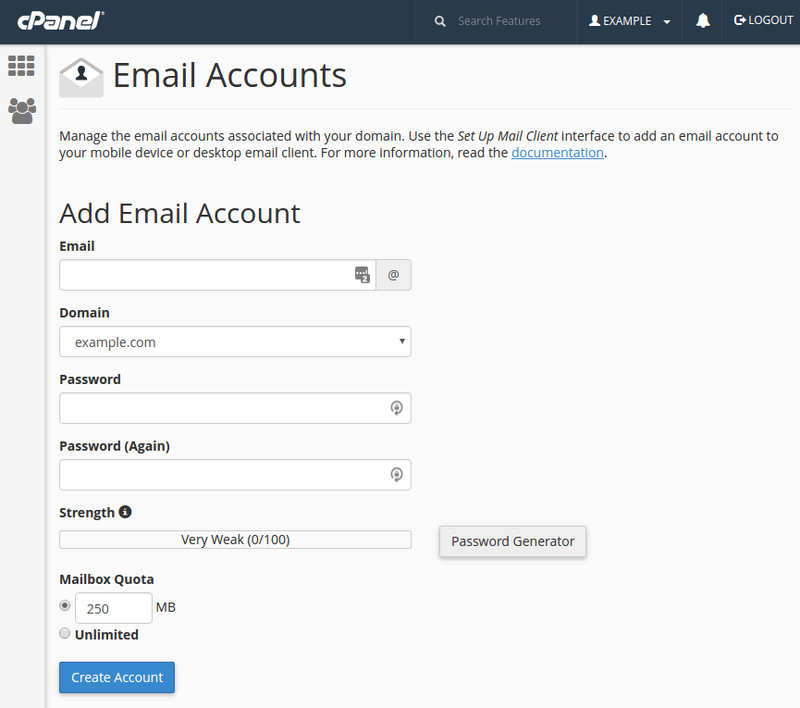 The very first step required for using the email service on your server with our hosting is to create the email account in your cPanel. That will open a screen so you can create a new email address. You should see the below screenshot. This is the name of the account. This will be before the @ symbol in the email address. Select the size of the mailbox you want to create. After entering your information in the fields, click the button labeled "Create Account"